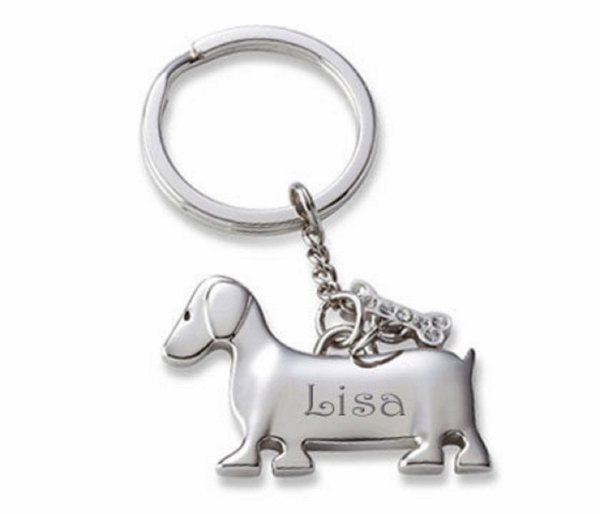 This engraved silver dog key chain can be engraved with any name, date or message in many font styles. Both sides of the silver dog key chain can be personalized with names, dates or a message.Attached to the doggie is a beautiful crystal bone charm. Product Size: 1-3/4" x 1-3/16" x 1/8" Imprinting Area: 1" x 3/8"